I bought a Math Readiness book for our daughter when I went to Daegu. Its a first grader book but we were surprise when we tested Rylie's capacity, she is very good. She is almost ready to go to school. I mean she needs our supervision on what to do because she can't read yet but once we told her how it's done, she can figure it out easily. 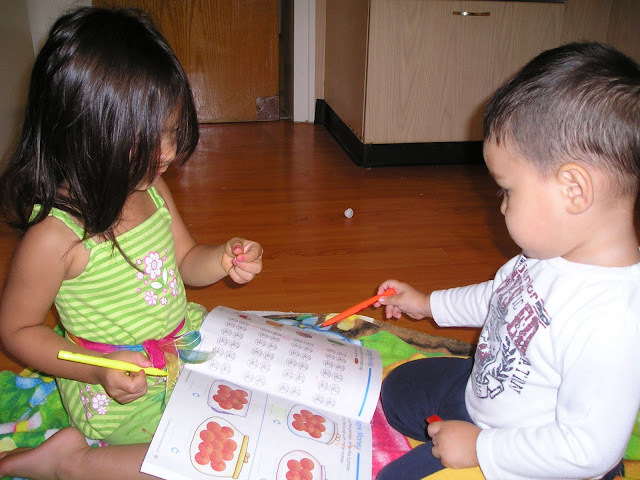 These photos were taken yesterday morning, when she was very nice to her brother and taught him how to color some of the drawings in the book. Originally posted oin June 6, 2009 by my husband. aww..they are soo cute. as i mentioned in rose's blog, i wish i could go there and plant a kiss on their adorable cheeks but i'm too far away so please do it for me. tee hee..
anyways, thanks so much for leaving a comment in my blog and following me. i, too, have followed you already, and added you to my blogroll so i can keep up with your great posts! thanks for following my blog. Your daughter is so cute and smart. I have a three year old daughter who just love books too ! I'm sure you are soo proud ! See you around. Your kids seemed to be engrossed in their own artistic world. How beautiful they are. 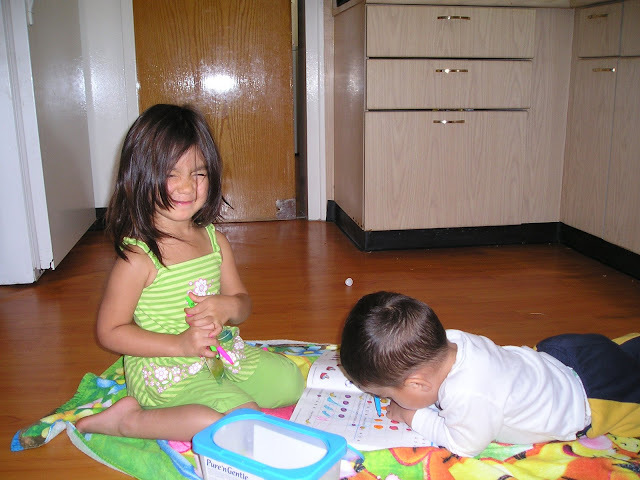 Rylie seems to be very serious in her role as elder sister to EJ. Thanks for the marvelous photos and post. God bless you all. that's good for rylie. i did it too before my kids started kinde. I used to buy math books for them. I started math 1 for pre-schooler and then math 2.we finished the 2 series before they started kinde. rylie is a smart little girl. 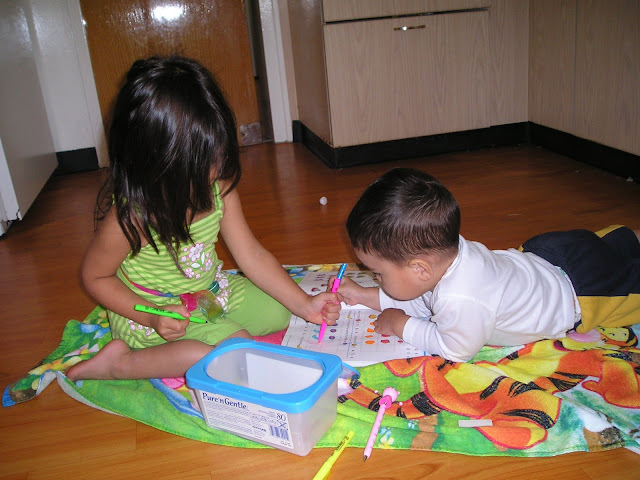 your kids are so cute .it is nice to see them working together. Seems your little one is interested in colouring which is good too..
Hello thanks for visiting my blog..anyway Im sure it really nice to have kids. I think kid has a good brain when they are young, because their brain is fresh and usually kids are like that. Have a nice day! Such a loving big sister! hehe, they are both cute. they are both cute hehe. Looks like joops is so interested to learn what the older sister rylie has been doing. You have such a smart kiddos. they are sooo adorable. miss burrito's smile is just so cute!